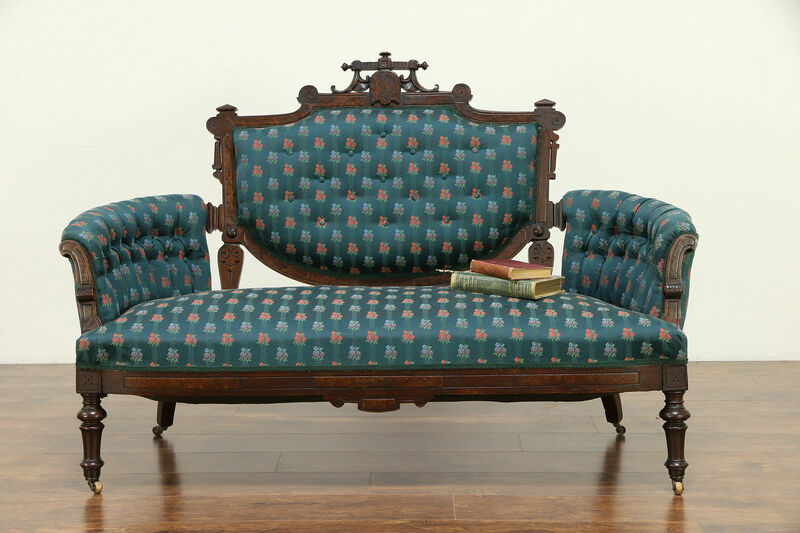 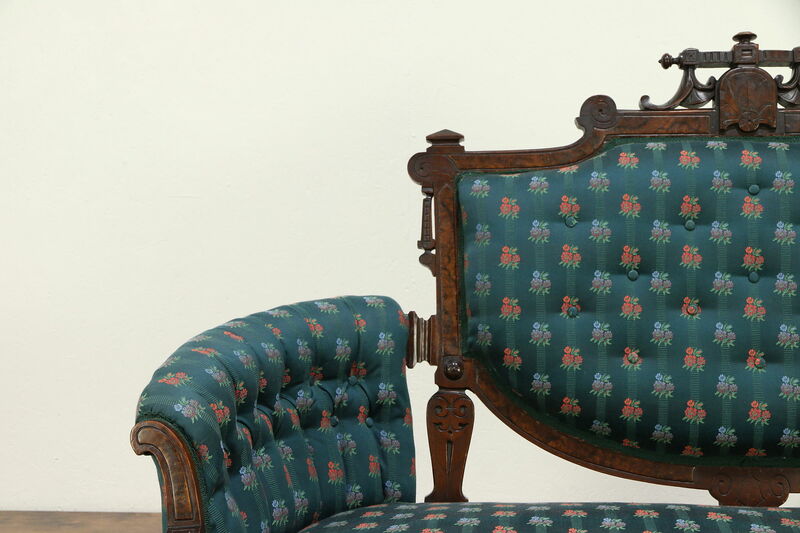 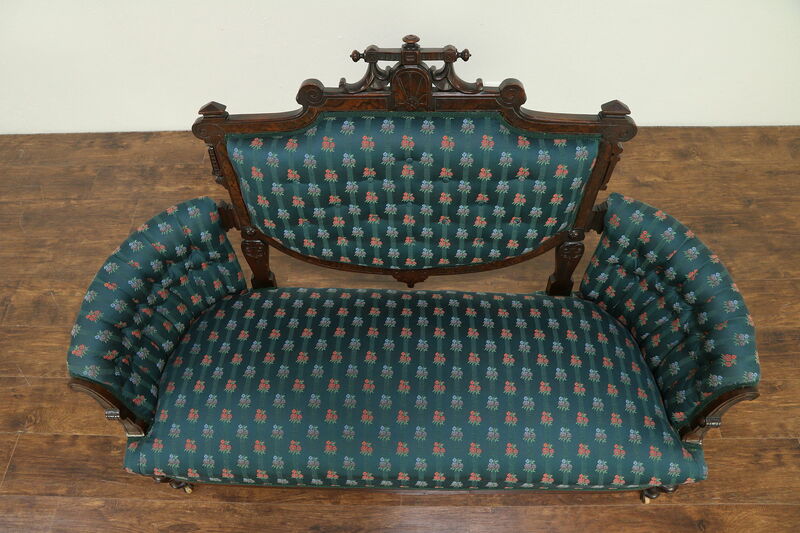 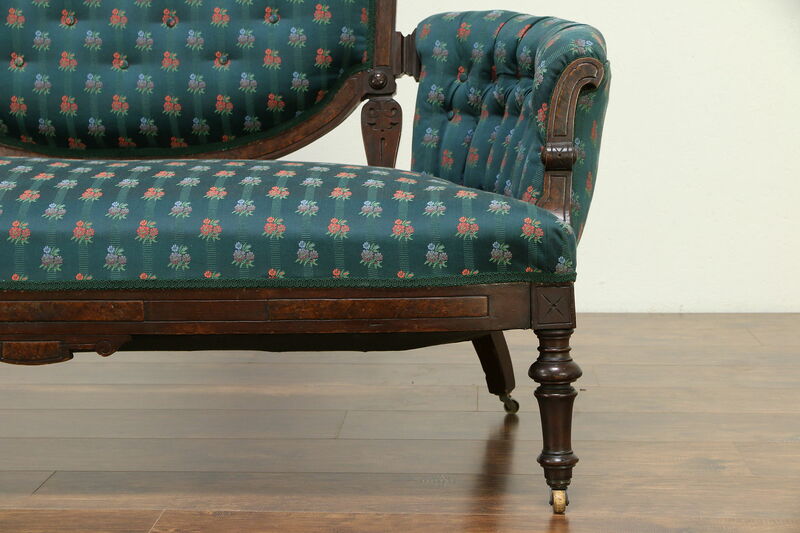 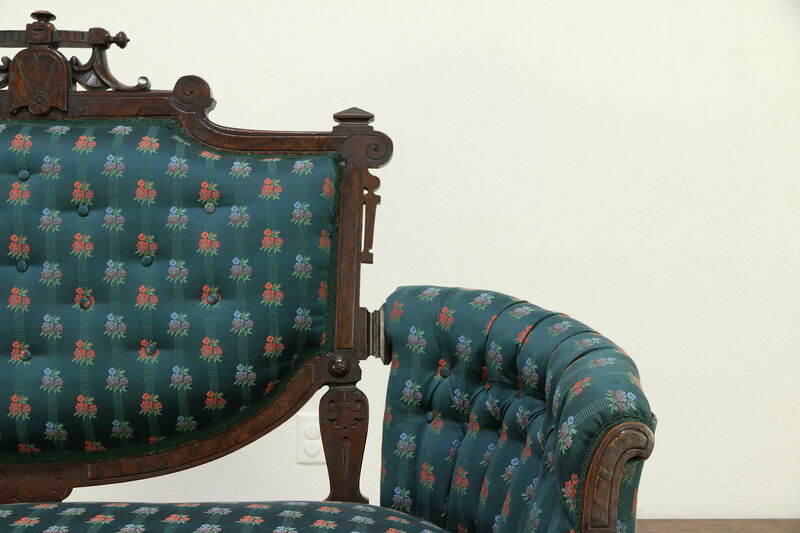 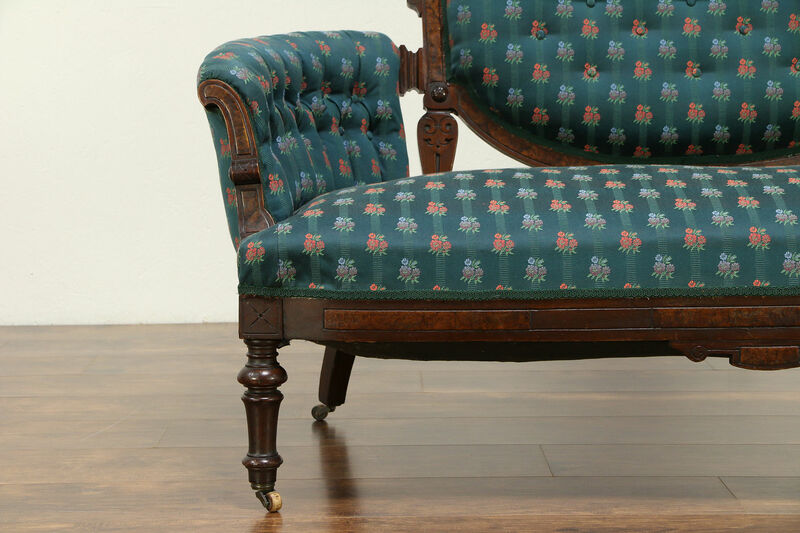 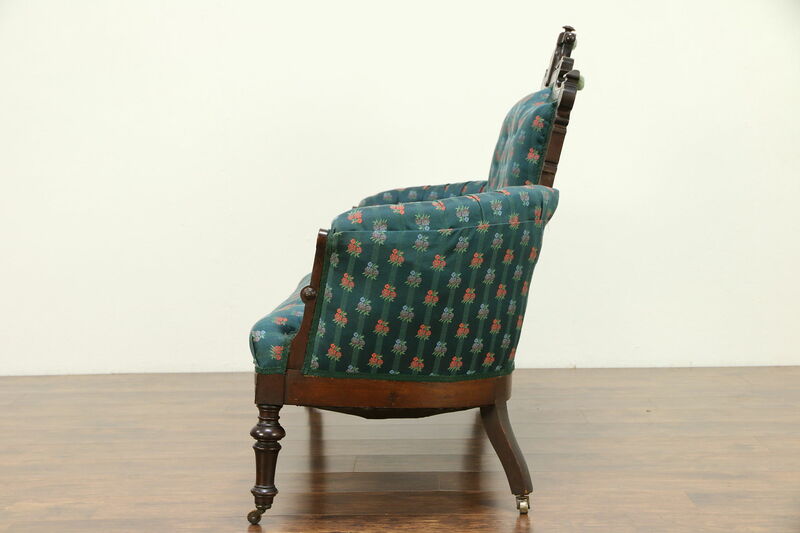 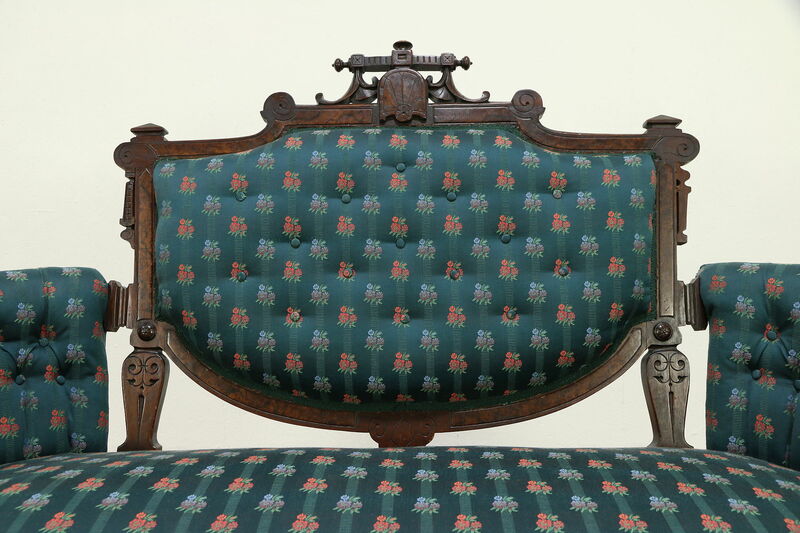 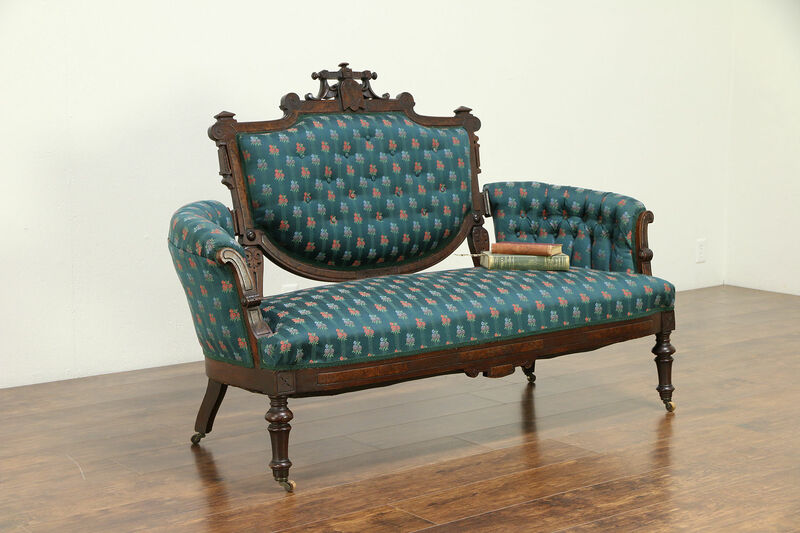 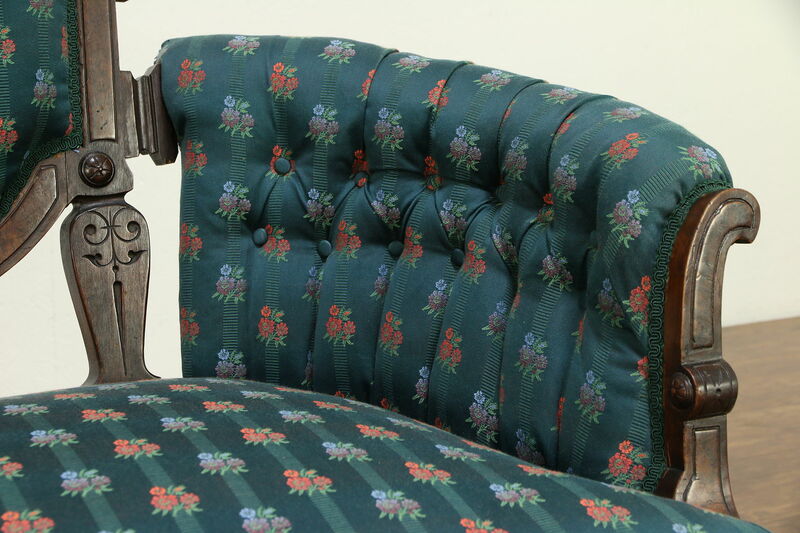 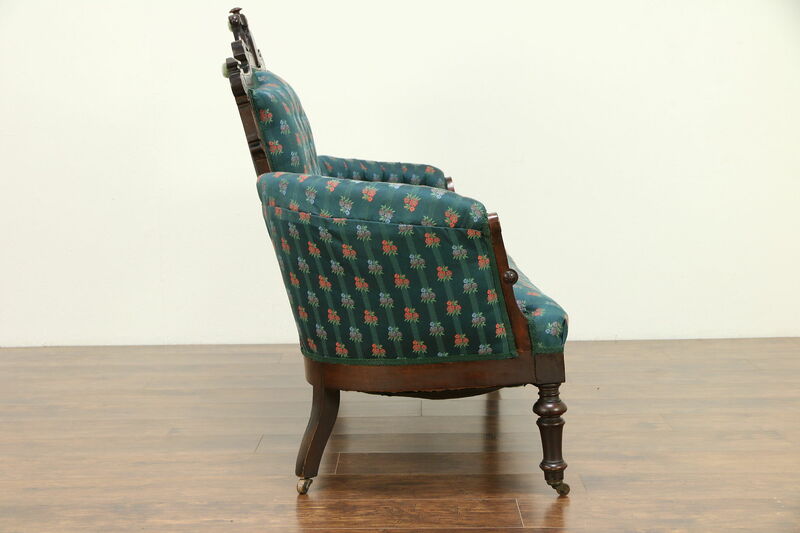 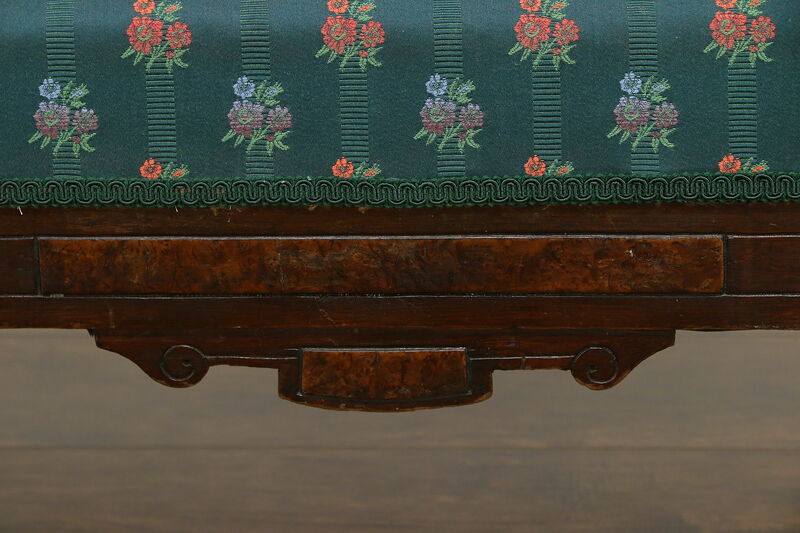 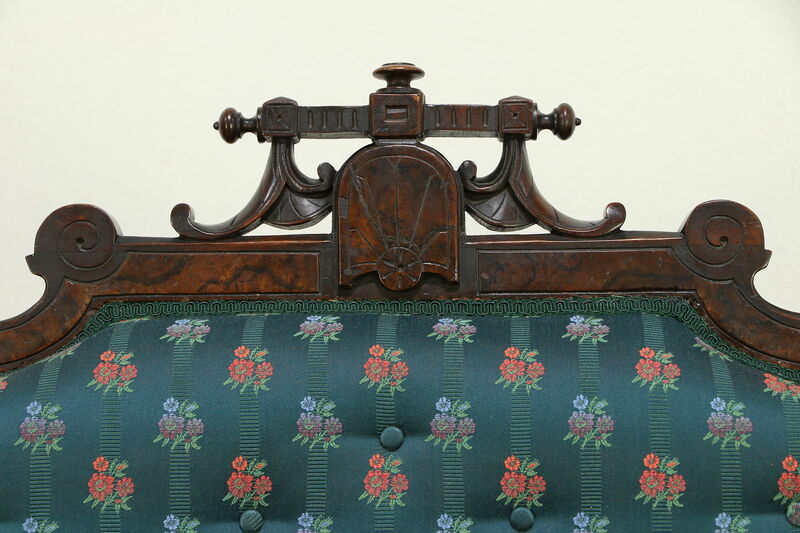 Carved of solid walnut with burl panels, a Victorian Renaissance loveseat has recent tufted upholstery that is unworn. 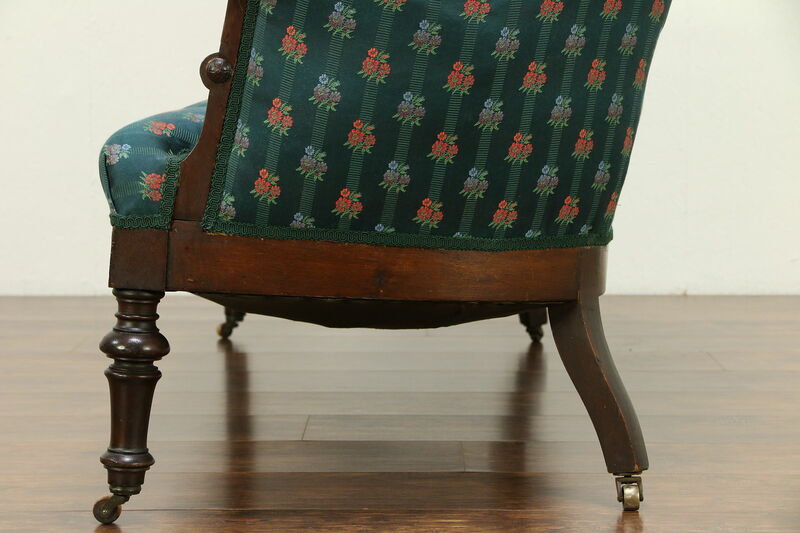 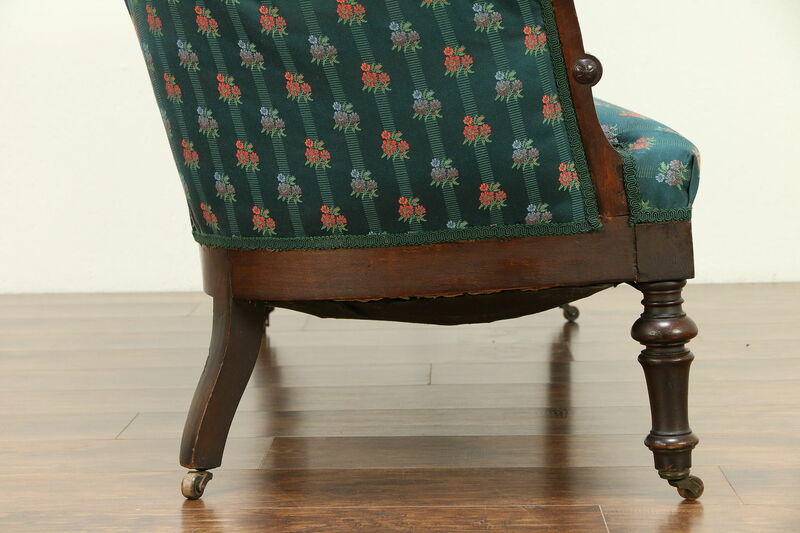 The old finish is in very good condition on this American made antique furniture. 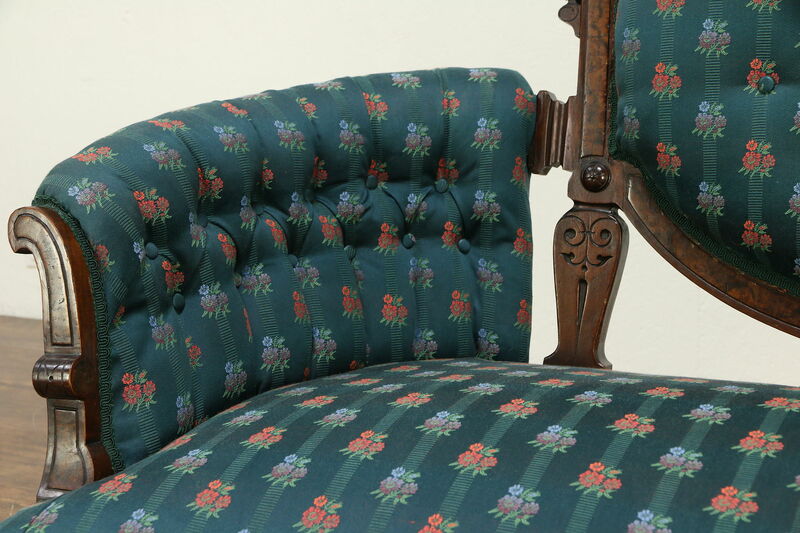 Springs are comfortable. 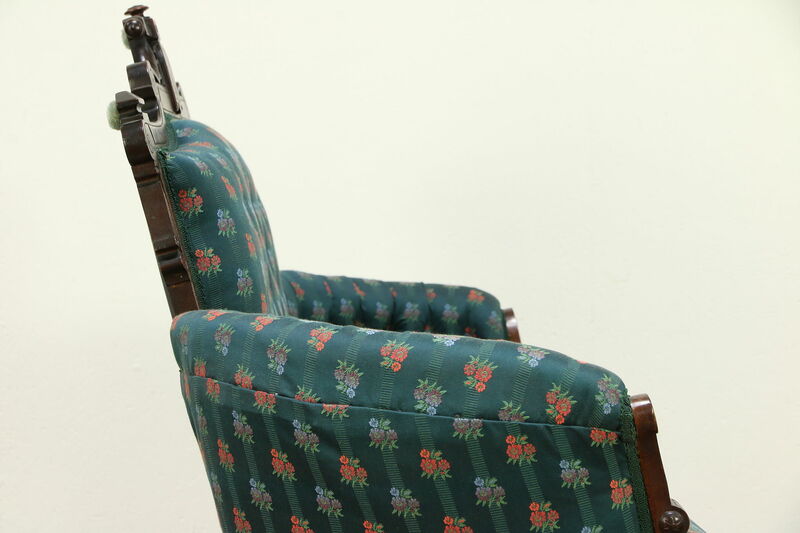 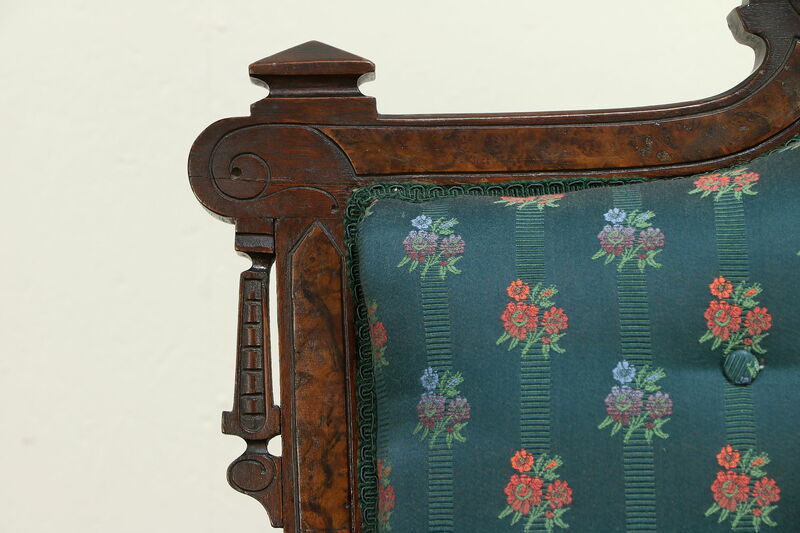 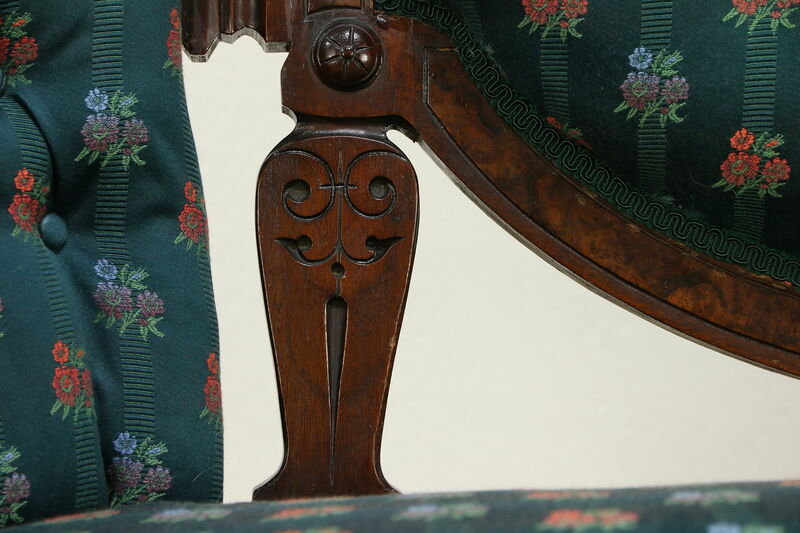 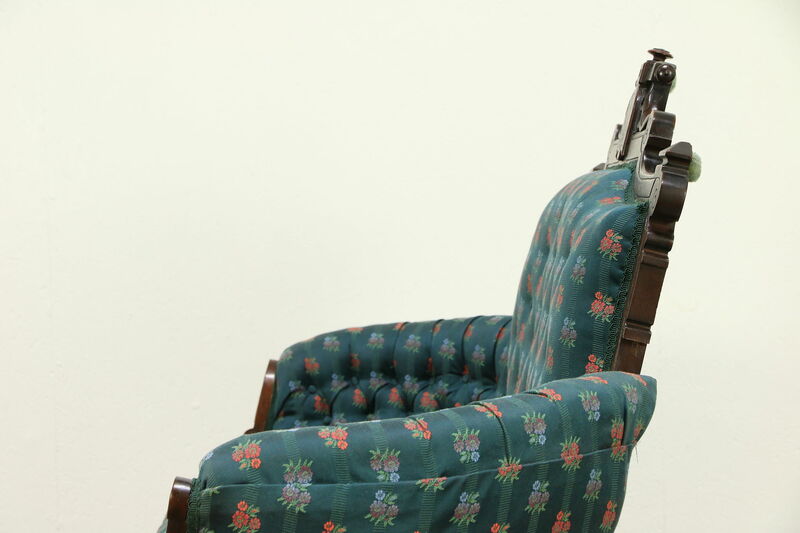 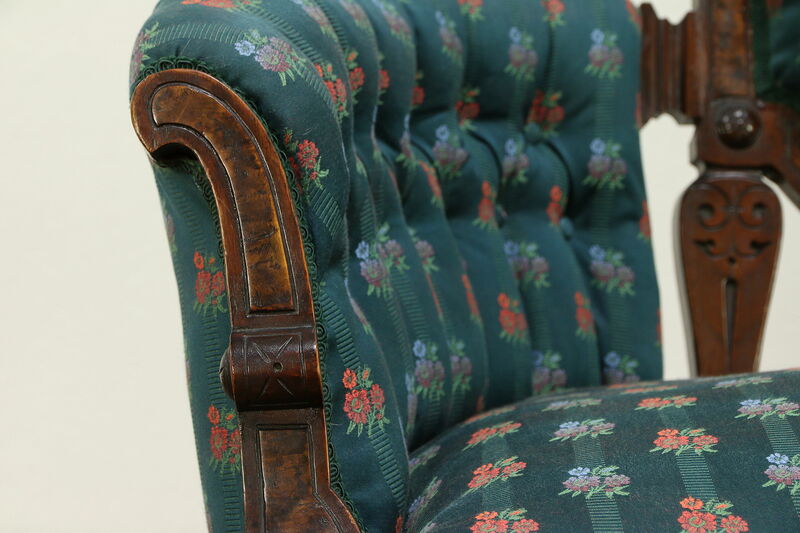 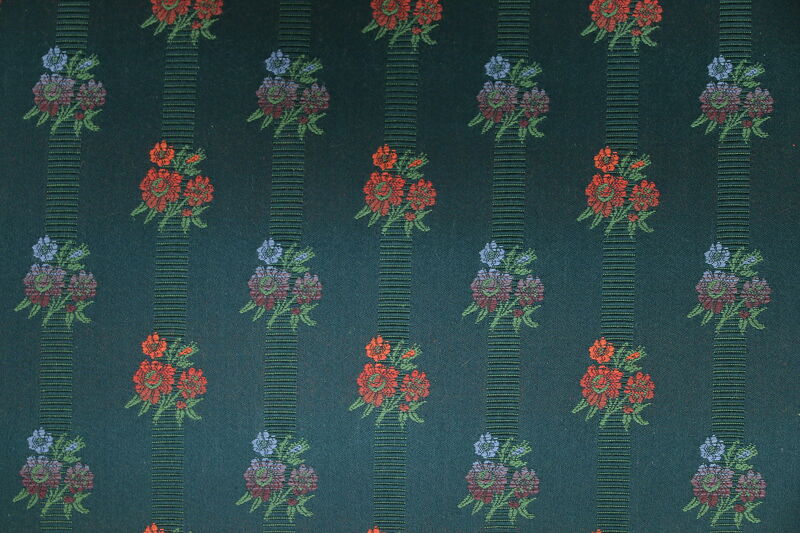 There is a little typical flex to the frame of the back, which could be reglued at the next upholstering. 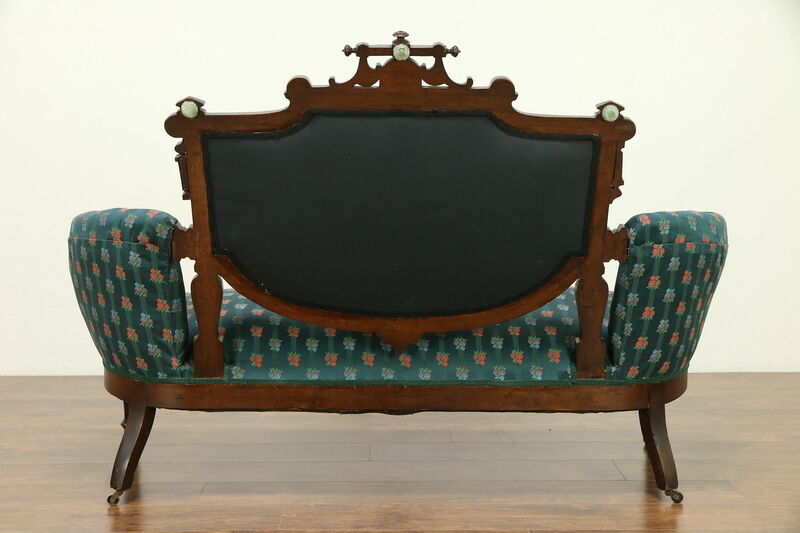 Size is 63" long, 30" deep, 42" tall and the seat is 17" high.